Ak! The holiday handmaking season is upon us. We aren't giving up hope of creating something handcrafted for those we want to remember this holiday season. Here are our five best weaverly ideas for the holiday gifts that work up quick. Big yarn work up quick! 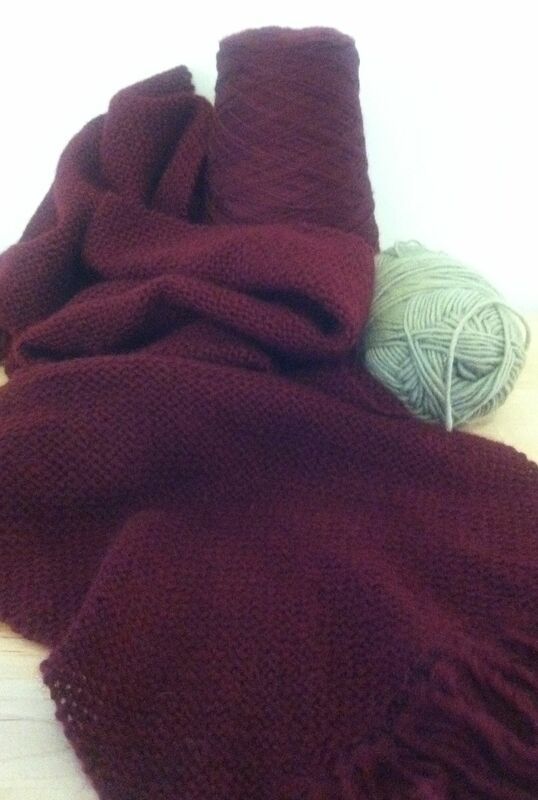 Use jumbo yarns that work up quick such as Weaver's Delight Rug Yarn. *Sett carpet warp at 4 ends per inch and work up a cozy rug. One skein can weave a rug 2' by 3' rug. We recommend having a good tapestry beater on hand if you have a loom with a light beater such as a rigid heddle or small floor loom. On a closed shed press the weft firmly into place before moving onto the next row. Felt woven cloth cut it into shapes for quick gifts or go retro and relive your childhood with a potholder loom! Go Retro! We can't help wax nostalgic about cotton loopers—remember those potholders that you wove as a child? You can still get them and the loopers and the loom! A nice stack of colorful potholders make a thoughtful gift and they are a fun to make with your children, grandchildren, or your crafting buddies. Go Felty! Weave a narrow warp of wool yarns that will felt. We stock Cascade 220 in a wide variety of colors ( setts at 8 ends per inch.) Try a 7-inch weaving width to get about a 4-inch square. Throw the cloth in the washing machine until it is fulled enough to hold up to scissors. 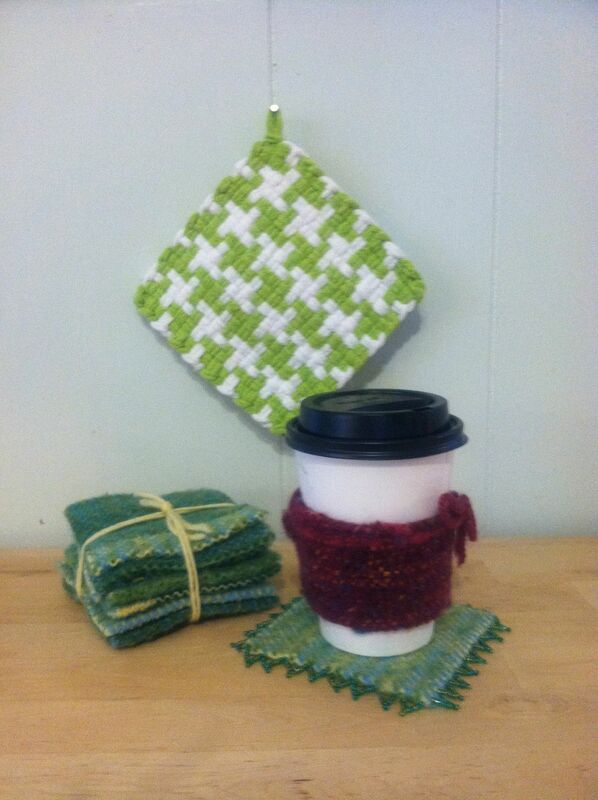 Cut the cloth into squares or circles for mug rugs and trim with beading, needlefelting or stitching around the edges. Loose setts allow for fast weaves. Space out! Sett sticky yarns such as mohair, wool, cashmere, or your handspun in a loose sett and weave with a loose beat. This scarf was woven with Lanaloft sport sett at 8 ends per inch. Available in tons of colors this yarn works up into a scarf in under four hours! Join in! Join a weave along for encouragement. The Cricket Club on Ravelry is weaving spa cloths. They would make a great gift along with challenging yourself to learn something new. We stock a number of yarns that would work well. Let us know if you try it out! *Sett is the number of yarns per inch in the warp. For you knitters, think of the sett as your needles size.